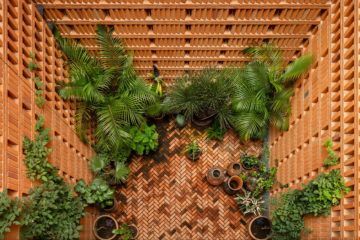 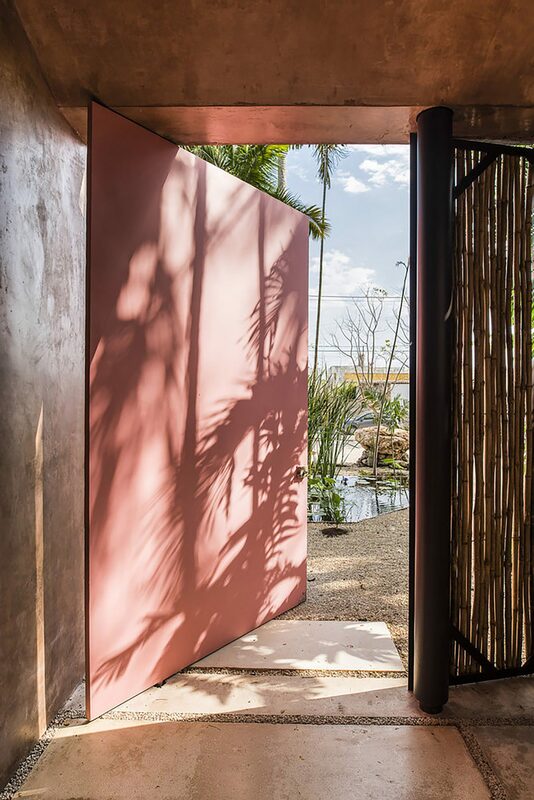 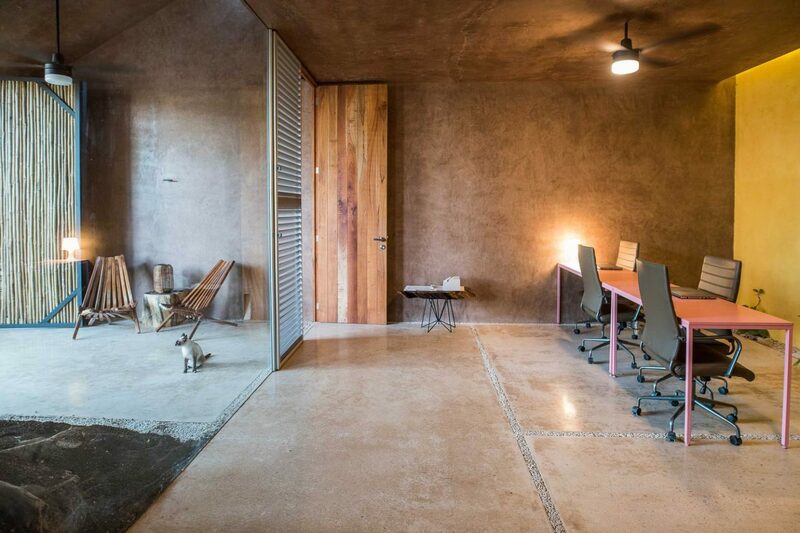 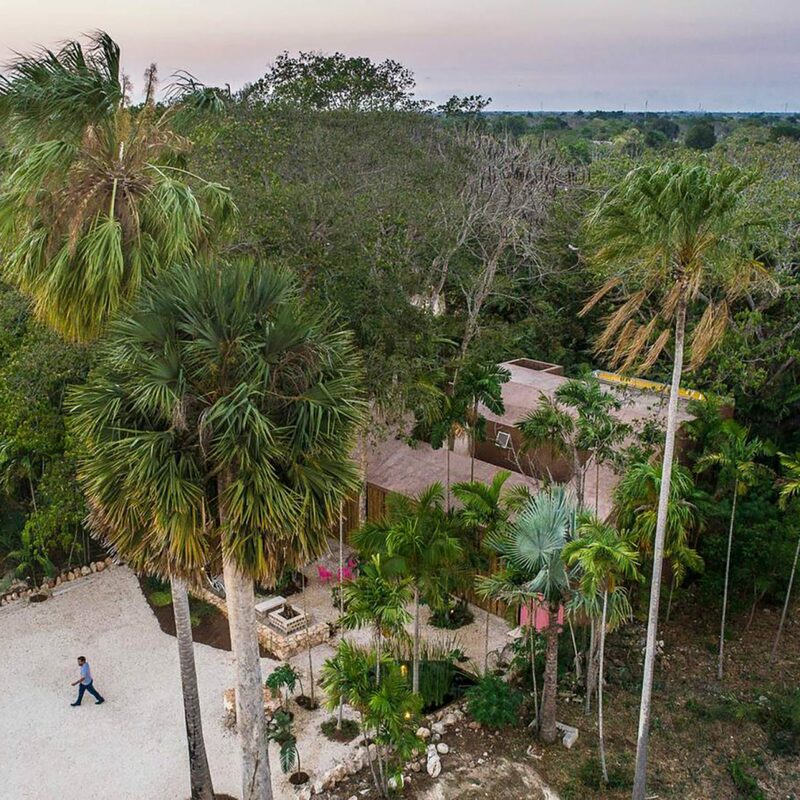 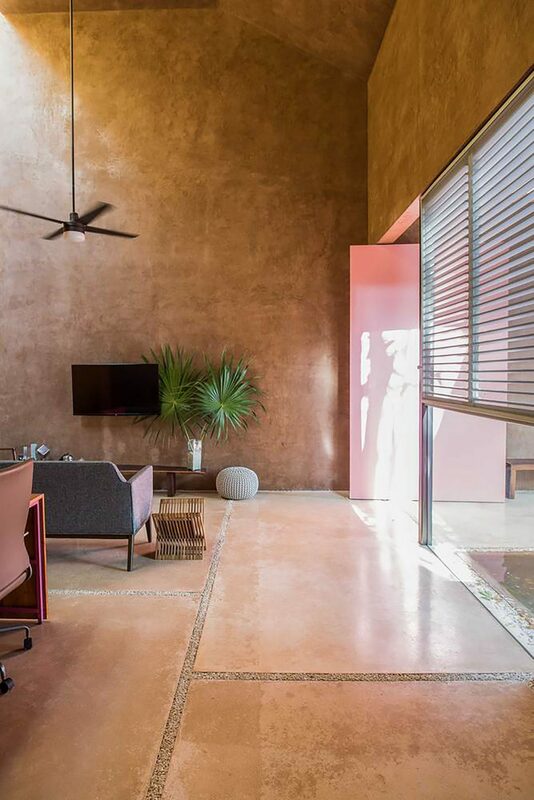 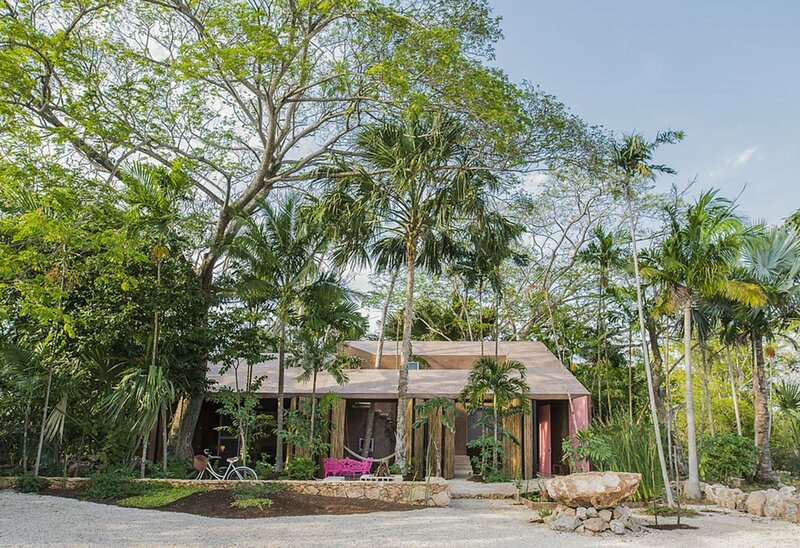 In Merida, at the heart of an area verdant with towering palms, TACO (Taller de Arquitectura Contextual) has designed ‘Portico Palmeto’, a multi-faceted studio fit with flushed pink walls and concertina doors made from bamboo. 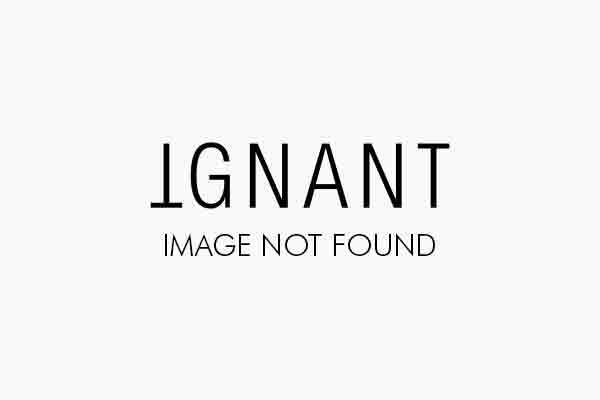 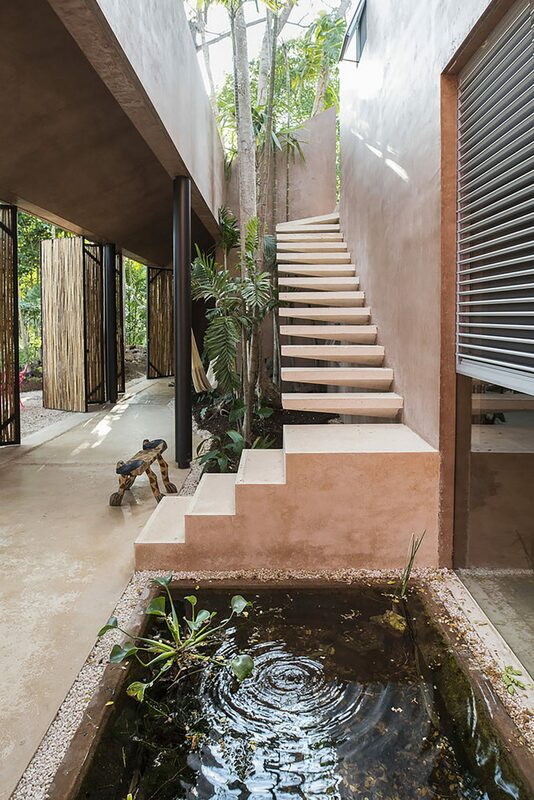 This architectural studio was designed to break with traditional concepts of workspaces; creating a domestic area that feels homely, private and open to the natural world that surrounds it. 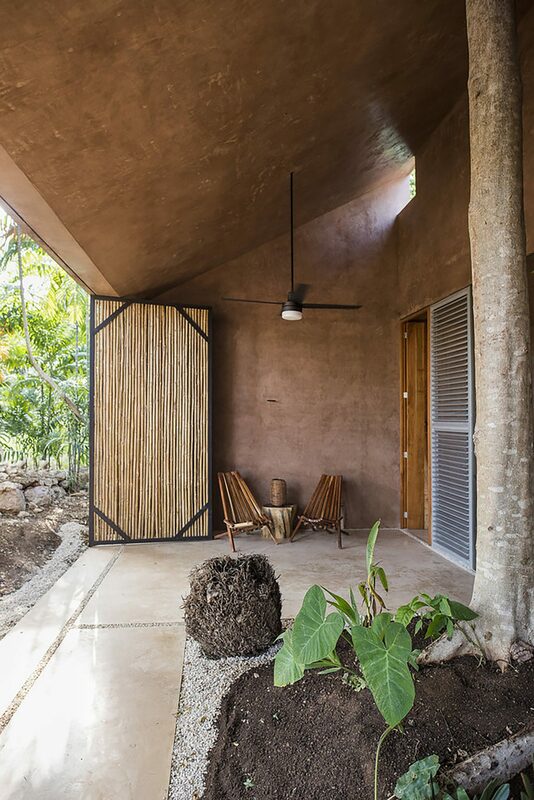 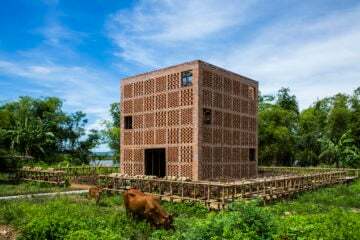 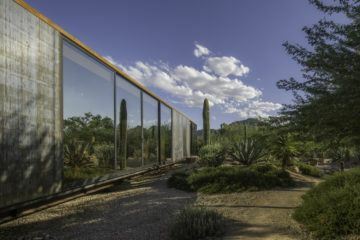 Situated at the back of the plot so as to maintain privacy, the building’s height has been derived from a survey of the trees that surround it and the portico at its front stands protected against both vandalism and weather extremes by locally sourced and produced bamboo doors. 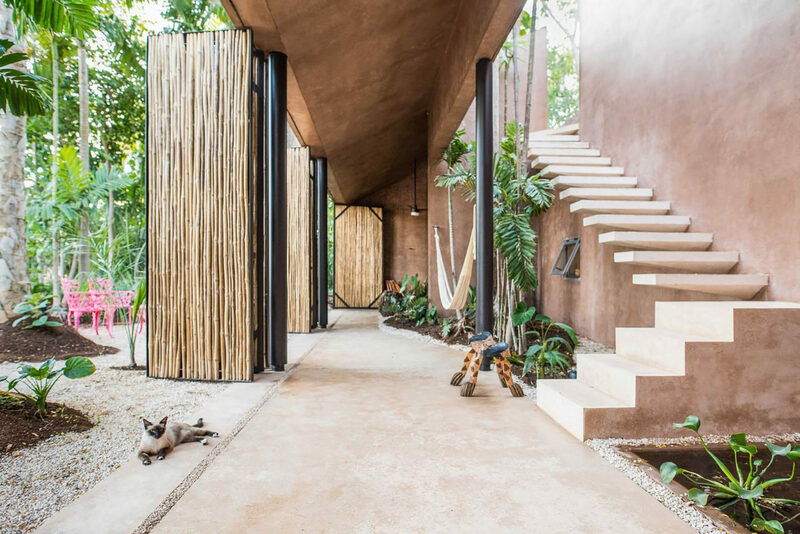 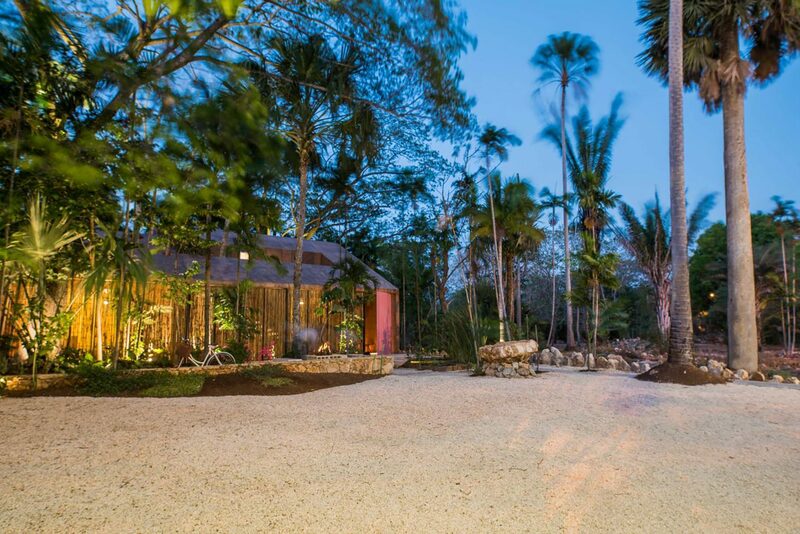 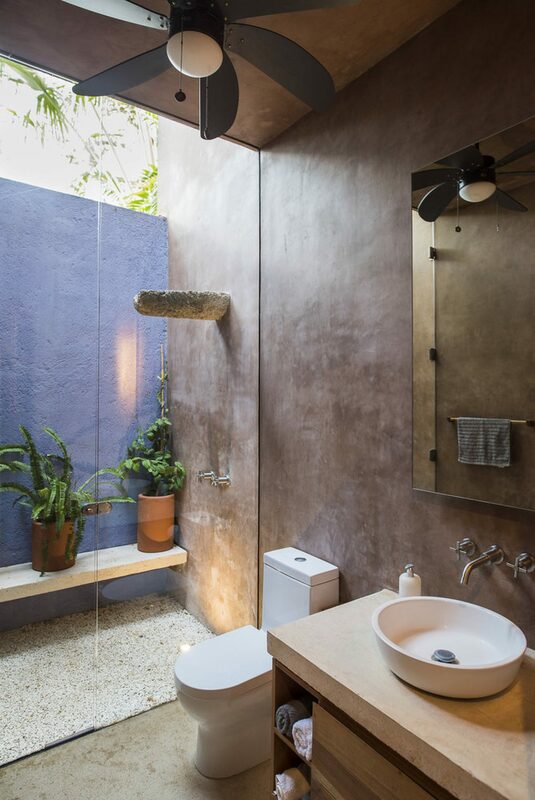 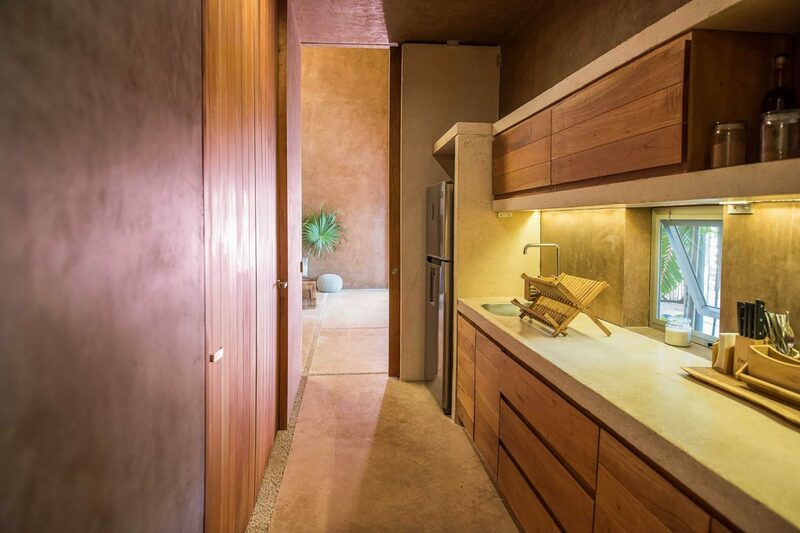 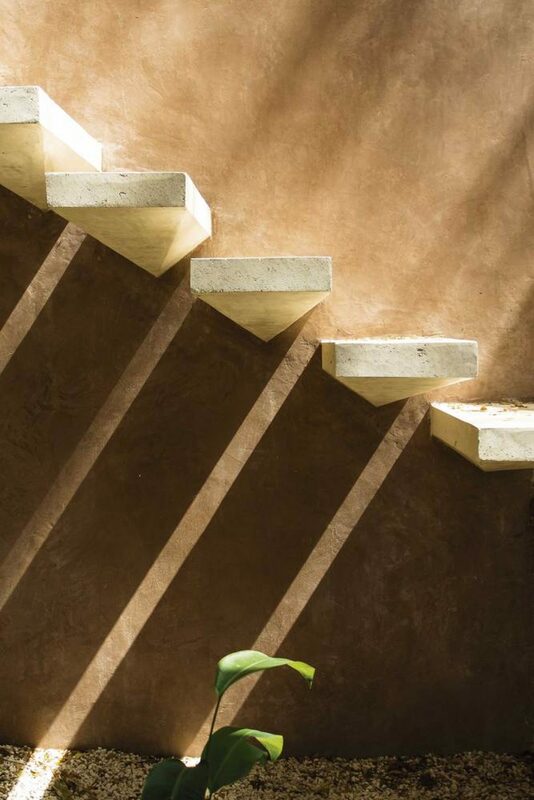 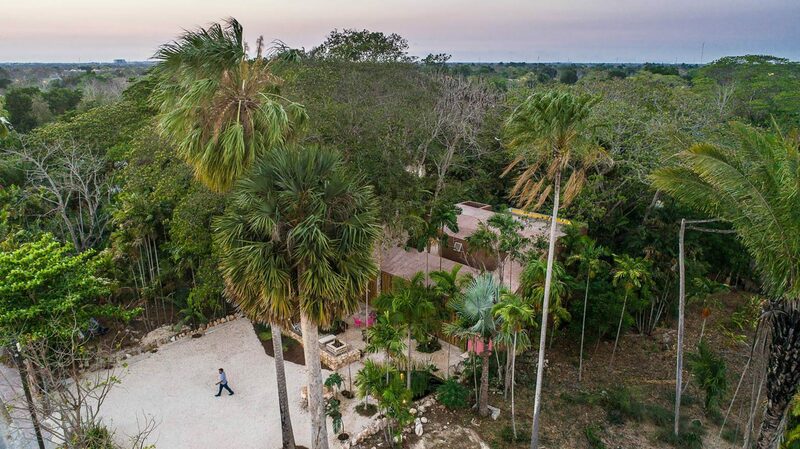 The building is thoroughly modern, though its methods and thinking hark back to the architectural heritage of the area: consolidating, the firm explains, “the coherence of the Mayan vernacular…the sobriety and mysticism of the Franciscan converts and the functionality of the Yucatan haciendas” in a single structure.